It’s taken me a little while to write this review. I apologise. It was something to do with a catastrophic blog-tech-fail which removed the entire blog from the world wide web. But it’s back now – we can all stop panicking. 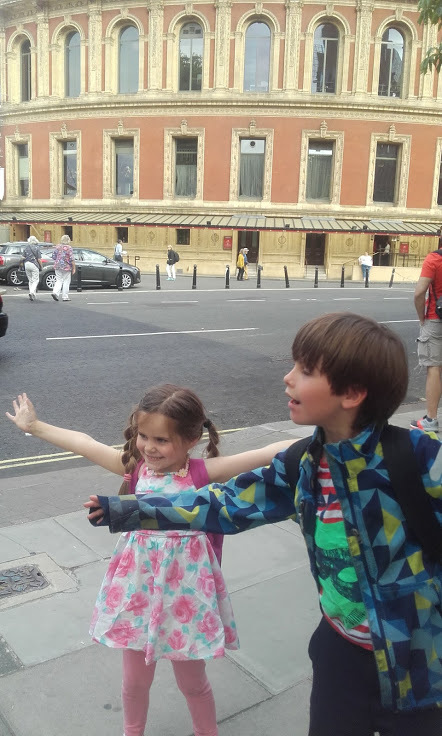 So, on Monday I took the kids to the Royal Albert Hall. It seems so surreal to say that now. 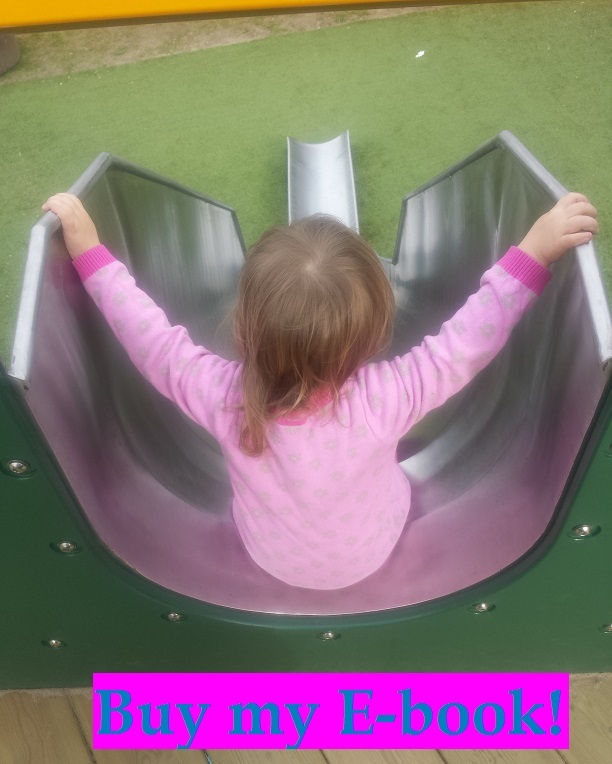 Back then, it was still summer and taking them out late on a school night didn’t feel quite so irresponsible when it was too hot to sleep anyway. Besides, how often do you get to visit somewhere you’ve only ever seen on the telly? 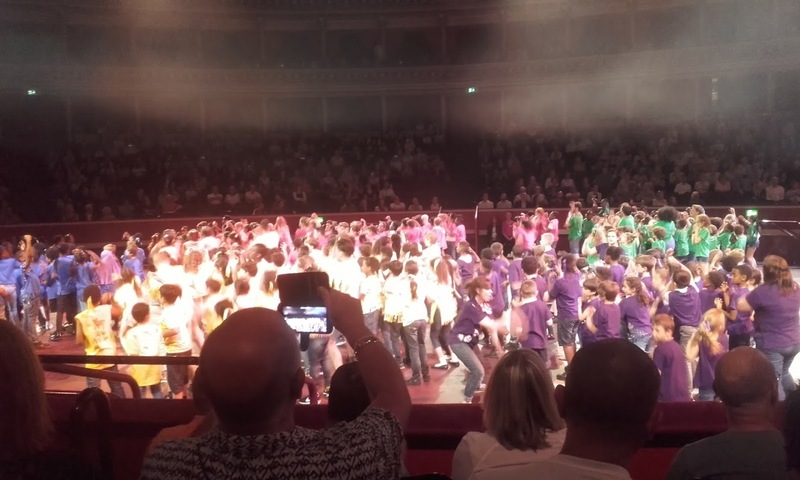 The occasion was Chickenshed’s extravaganza “Dreams of Freedom”, which featured 600 performers from schools around London. It was a show about freedom, obviously, but also hope, play, imagination and the absence of fear. A lot of the ideas in it came directly form the children involved and even some of the music was composed by young people. It was poignant watching such a show in Kensington, so close to the Grenfell Tower fire and it was fitting that the opening slide paid tribute to the victims of that disaster and those who were affected by it, “including some of the performers on stage tonight” (apologies if I’m paraphrasing). It went alongside a moving video from Amnesty International Ambassador Angelina Jolie, talking about the Rights of a Child. That’s the bit that stuck with Reuben, and he would later describe it as “very Labour-y”. We have trained him well. 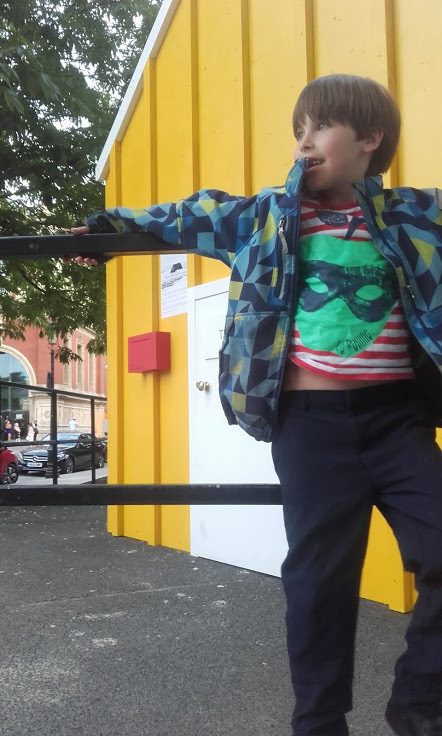 The performers came on dressed in t-shirts of bright rainbow colours, each one customised by the child themselves. It worked really effectively as they filled the floor space in blocks of different colour. There were several different segments, each introduced on the screen and live illustrated by Chris Ridell and the very talented 9-year-old Jude Holland – themes included “Freedom to come together”, “Freedom is ideas” and “Freedom from fear”. Some included songs from the choir, soloists or the whole ensemble – others were instrumentals, interpreted through mime and dance. There were anthemic moments – “Are you ready to hear us?” – and more reflective moments but the whole thing was seamless. The kids enjoyed the first half, although Eva was scared by the “Monsters” section just before the interval. To reset her a bit, we nipped out and had a breath of fresh air and a look at the giant golden statue. 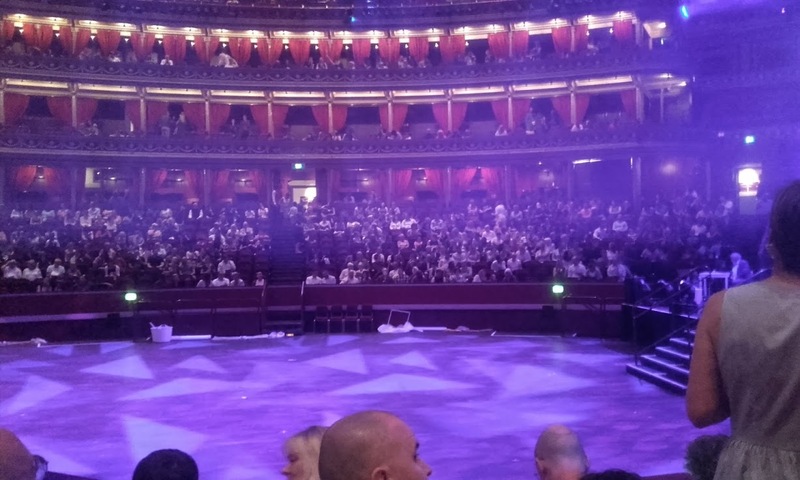 I still couldn’t quite believe we were at the Royal Albert Hall. And that it was still light outside. I can’t imagine the planning and nightmare logistics that have gone into this show but it was so worth it. 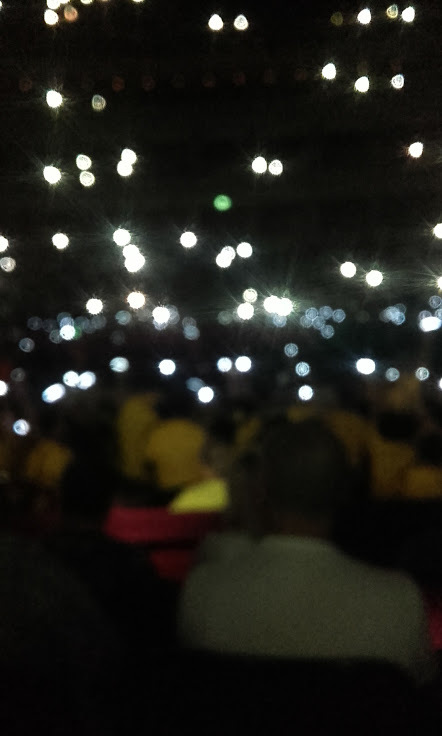 Chickenshed have much to be proud of and bringing 600 children, some with SENs or disabilities, together in such a life-affirming show must surely be the pinnacle of their achievements to date. It was melodic, dreamy, powerful and emotional. And definitely worth keeping the kids up late for. This entry was posted in Reviewing the Situation and tagged theatre, West London. Bookmark the permalink.